Manual and motorized attenuators providing continuous beam splitting over 750-850 nm and 980-1080 nm broadband wavelength ranges. 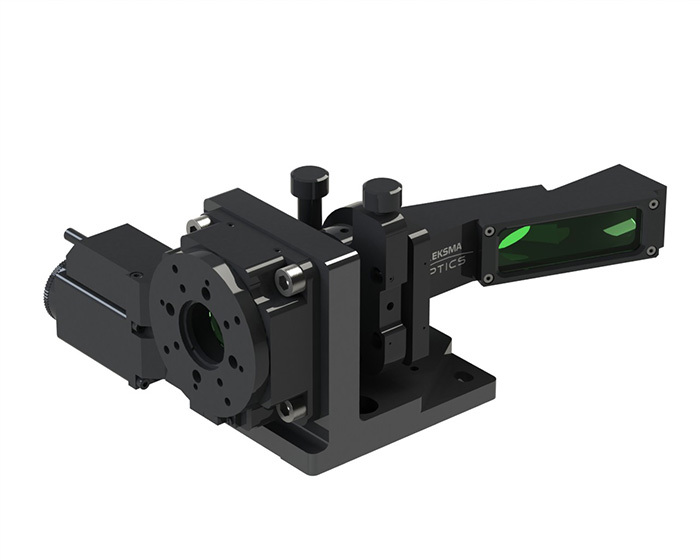 Consist of two thin film polarizers and a zero order air-spaced waveplate mounted into precision opto-mechanics. Variable attenuators / beamsplitters consist of precision opto-mechanics and optical components, providing continuous beam splitting over 750-850 nm or 980-1080 nm broadband wavelength ranges. 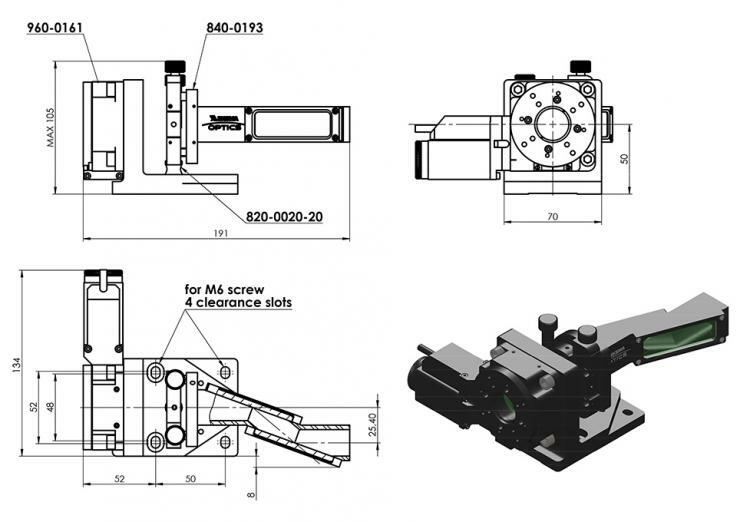 Attenuators are available in manual or motorized versions. Attenuators use two thin film polarizers operating at 70° angle of incidence, which reflect s-polarized light while transmitting p-polarized light. 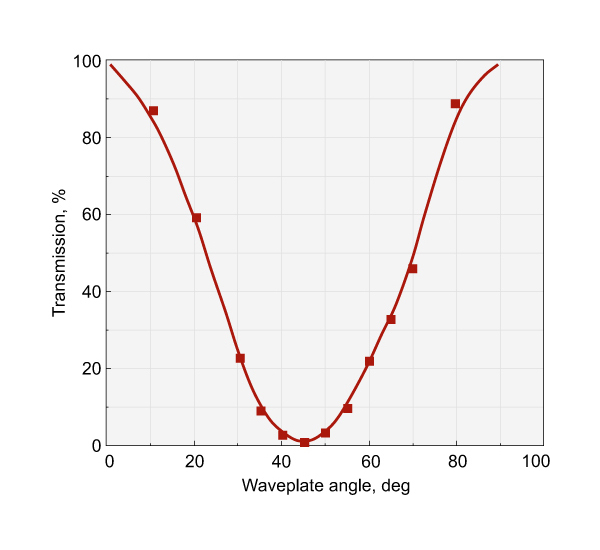 The angle of incidence can be adjusted by ±2° to achieve the maximum polarization contrast. The intensity ratio of the two outgoing parallel beams may be continuously varied without alteration of other beam parameters. It can be done by rotating the quartz zero order air-spaced half wave plate housed into a rotating holder. 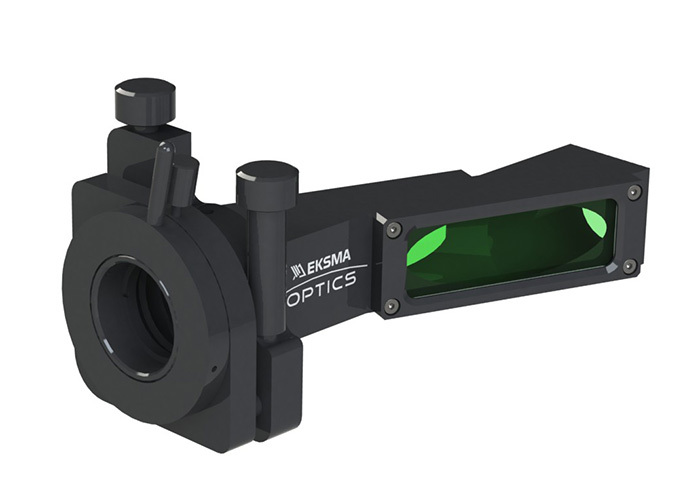 P-polarized beam is transmitted straightly with a shift of 2.6 mm. While s-polarized beam (after 2 reflections) is parallel to the outgoing p-polarized beam, just separated by 28 mm.